(Natural News) When President Donald Trump signed an executive order reinstating Mexico City Policy — defunding international abortion efforts, like those of Planned Parenthood — it garnered quite a lot of approval and many Americans were excited by the turning of the tide. When former president Barack Obama took office, he swiftly took action to overturn the policy, ensuring that international abortion businesses could receive federal funding. Obama’s choice to repeal Mexico City Policy was not favorable among most Americans: a mere 35 percent approved of the action. That means a sound majority did not approve of it being revoked. And yet, our new president has been awash with criticism from the Left for his choice to support what most Americans believe in. One of these critics is none other than Bill Gates, famous for Microsoft, infamous for his advocacy of global depopulation. 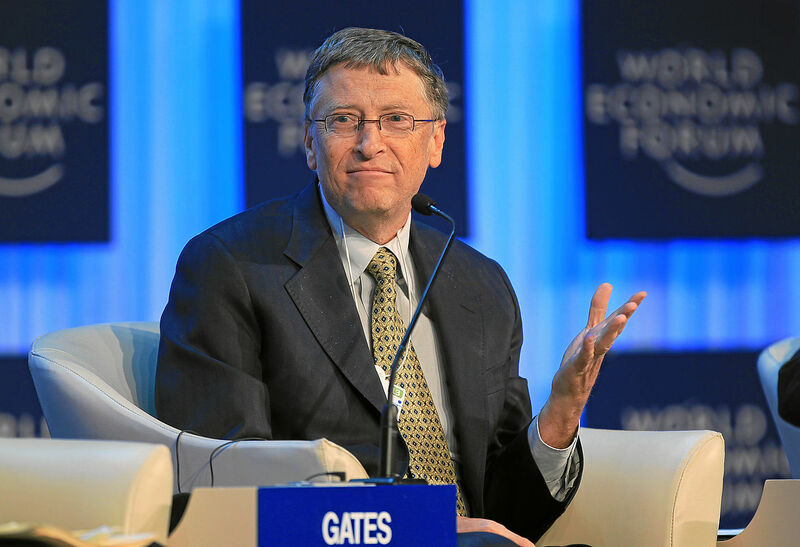 According to Gates, reinstating Mexico City Policy will have catastrophic effects that will endanger the lives of millions of women and unborn children. Of course, given his penchant for reducing the world’s population, one must wonder if his intent is truly as altruistic as he tries to make it seem. Life News suggests that millions more women and children are harmed or killed during abortion procedures, and notes that Gates’ concerns for these people are nothing short of ironic. The executive order to revive Mexico City Policy merely prevents taxpayer dollars from being used to fund abortion procedures and promotion overseas. The order does not, however, stop international aid for other health care and humanitarian causes. It simply stops the money from subsidizing abortions in other countries. “We’re concerned that this shift could impact millions of women and girls around the world. It’s likely to have a negative effect on a broad range of health programs that provide lifesaving treatment and prevention options to those most in need,” Melinda Gates commented. Melinda Gates went on to describe a host of health conditions not related to abortion that she believes will somehow be impacted by the cessation of government funds being given to abortion businesses. However, this assumption seems to neglect the fact that Planned Parenthood rarely provides anything other than abortions. In a fine case of fear-mongering, Melinda Gates alleges that defunding international abortion will also put a stop to treatment and prevention of HIV, malaria, and tuberculosis — which is simply untrue. Planned Parenthood does not offer standard medical care: they deal only with abortion-related care and provide contraceptives, according to the Planned Parenthood Global website. Marie Stopes International also strictly provides abortions, post-abortion care and contraception. These are not healthcare organizations — they are abortion outlets. Melinda Gates does not outright say that these organizations provide actual health care, but she certainly alluded to it. And perpetuating a myth, such as the idea that abortion facilities will provide medical care for infectious diseases like malaria, shows how far they will go to push their agenda.